How are FMCG Leaders Preparing for Brexit? With difficulty is the simple answer. Because the only thing that appears certain at the moment about Brexit is that it is causing a great deal of uncertainty…across all industry sectors. Speaking regularly as I do with commercial leaders in FMCG, it is the subject that is unsurprisingly raised every time we meet. The actual Brexit deal (or no deal) the UK will end up with remains unclear with just six months to go. But key concerns about the impact on the bottom line centre on how restrictions on freedom of movement of both people and goods will affect supply chains, and how new import duties will alter the share of wallet. Short term impact will include losses from currency fluctuation, and increased costs from arranging work visas (or whatever system replaces free movement of people) and changing packaging and labelling. 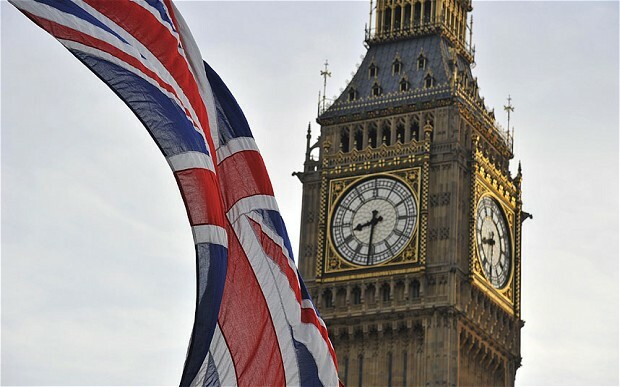 Longer term effects include delays in new product development and investment in UK factories, as companies wait for clarity on the UK’s future relationship with the EU. Industry areas such as farm to fork are already suffering negative effects. A survey published by the Food & Drink Federation found nearly a third of the EU workforce had left the UK within a year of the referendum while 47% of the remainder were considering joining them. Earlier this month, in response to the impending staffing crisis, the Government announced a post-Brexit migrant farm workers’ visa scheme for up to 2,500 EU nationals for 2019 and 2020. There is an expectation that the post-Brexit import duties could radically change consumer spending habits, with many likely to reduce expenditure on premium items which will become more expensive, as UK wage restraint continues. These are not only restricted to ranges like high end skincare products; a recent report by the LSE found that food shortages and price rises could mean even dairy products we import from the EU like butter and speciality cheeses could become occasional luxuries, with milk products attracting tariffs of up to 74%. In response, increased investment is being made in data analytics to make sure the right product is available to the right consumer at the right time. An example is the personalised online targeting of luxury items to those less likely to be impacted by price increases. At the same time discussions are underway with retail partners about product placement on the shop floor, simplifying ranges and doubling down on the everyday essentials for the average consumer. Unlocking further value from the supply chain is another key area being explored, with import duties and potential restrictions on the movement of goods leading firms to seek new UK based suppliers where feasible. 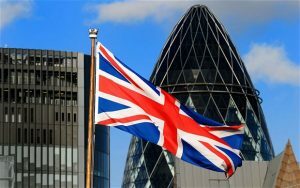 An executive at a global FMCG firm told me: “Brexit, like political turmoil, is not new for multinational FMCG giants as they face similar changes every year across the globe. However, the UK economy has always been a lucrative market for higher value per capita sales and Brexit will undoubtedly throw more caution in the spending power of the shopper. With just over two months until the last European Council of 2018 – widely seen as the last possible date for an Article 50 divorce deal to be agreed – the clock is ticking. FMCG leaders needing certainty to plan a path to steady growth in a new post-Brexit economy wait in hope. Stuart Richards is a Senior Consultant in the Global Consumer Practice at HW Global Talent Partner. Contact him at stuartr@hwglobalpartner.com or +44 (0) 161 249 5170 or +44 (0) 7787 254 600.
Business and union leaders from across the UK and Europe have joined together to plead for “pace and urgency” in Brexit negotiations. The CBI and the TUC along with their European counterparts are calling on the UK government and the European Union to make “measureable progress”. UK and EU leaders will attend a European Council meeting this week. The groups say the UK and the EU must “put economic interests and people’s jobs, rights and livelihoods first”. The CBI, BusinessEurope, the TUC and the European Trade Union Confederation (ETUC) collectively represent 45 million workers and 20 million employers across the EU. In a joint statement, they said: “We are calling on the UK government and the EU to inject pace and urgency in the negotiations, bringing about measurable progress, in particular a backstop arrangement to avoid a hard border in Ireland. UK Prime Minister Theresa May will attend the European Council meeting on 28-29 June. However, she will be excluded from a gathering of the other 27 EU nations where chief negotiator Michel Barnier will provide on update on Brexit talks. Carolyn Fairbairn and Markus Beyrer, the director-generals of the CBI and BusinessEurope respectively, as well as Luca Visentini and Frances O’Grady, the general secretaries of the ETUC and the TUC, met earlier this month in London to discuss Brexit. A spokesman for the UK government said: “We absolutely agree. That’s why we have put forward workable proposals to the EU on a range of areas from the backstop to security, and the White Paper – which will be published after June Council – will continue to drive this process forward. The value of the pound continued to climb on Thursday as hopes rose of progress in the Brexit negotiations. Sterling hit a two-month dollar high on Wednesday on reports the UK had offered to pay up to €50bn to settle its EU “divorce bill”. The Times also reported on Thursday that the UK was close to a deal concerning the border with Northern Ireland and the Republic of Ireland. The pound was up more than half a cent against the dollar at $1.3467. 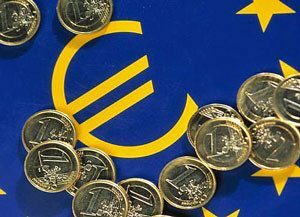 Against the euro, sterling also rose 0.4% to €1.1363. On the stock market, the benchmark FTSE 100 share index was down 25.06 points at 7,368.50. Shares in Aviva rose 2.6% after the insurer increased its targets for growth and dividend payouts. Outside the FTSE 100, shares in the owner of the Daily Mail newspaper – Daily Mail and General Trust – plunged by a quarter after the publisher reported a full-year loss and gave a downbeat outlook for next year. The company reported a loss of £112m after writing down the value of some of its businesses by more than £200m, and added that expected earnings in the short-term to be “adversely affected by recent disposals and challenging conditions in some of our sectors”. Pub operator Marston’s saw its shares jump nearly 10% after it reported a rise in full-year profits and said it was “well positioned” for growth next year. But results from rival Greene King fell flat by contrast. Its shares dropped 2.8% after the brewer and pub owner reported an 8% fall in half-year profits and said trading conditions were likely to “toughen” in the next few years. The EU is to begin preparing for its post-Brexit trade negotiations with the UK, while refusing to discuss the matter with the British government. An internal draft document seen by the BBC suggests the 27 European Union countries should discuss trade among themselves while officials in Brussels prepare the details. The draft text could yet be revised. It comes as the EU’s chief negotiator, Michel Barnier, said there was “deadlock” over the UK’s Brexit bill. As the fifth round of talks ended in Brussels on Thursday, Mr Barnier said there had not been enough progress to move to the next stage of post-Brexit trade talks, but added that he hoped for “decisive progress” by the time of the December summit of the European Council. The draft paper submitted to the 27 EU states by European Council president Donald Tusk, suggests free trade talks could open in December – should Prime Minister Theresa May improve her offer on what the UK pays when it leaves. The draft conclusions – to be put to EU leaders next Friday – also call for more concessions from the UK on its financial obligations and the rights of European nationals who wish to stay after Brexit. The paper confirms Mr Barnier’s assessment, that there has not been “sufficient progress” on three key elements of a withdrawal treaty for leaders to agree to open the trade talks now. But it says the leaders would welcome developments on these key issues: the rights of three million EU citizens in the UK, protecting peace in Northern Ireland from the effect of a new border and Britain’s outstanding “financial obligations”. The council would then pledge to “reassess the state of progress” at their December summit. Bernd Kolmel, chairman of Germany’s Eurosceptic Liberal Conservative Reformers, told BBC Radio 4’s Today programme there appeared to have been little progress between the first and fifth round of talks – something he described as a “disaster”. He called on the EU to expand the talks to include its future relationships and trade with the UK. The document states that in order “to be fully ready”, EU leaders would ask Mr Barnier and his officials to start preparing now for a transition – albeit without actually starting to talk to the UK about it. “The European Council invites the Council (Article 50) together with the Union negotiator to start internal preparatory discussions,” the draft reads. Businesses need more clarity on Brexit, the Chancellor, Philip Hammond, has acknowledged. He told the BBC’s Today programme the sooner the government gave businesses more certainty about the process, the sooner the economy would pick up.His comments follow warnings from the British Chambers of Commerce (BCC) that public disagreements between ministers were undermining business confidence. Theresa May has said the cabinet is united on the UK’s Brexit position. 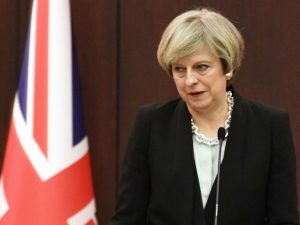 The prime minister said on Sunday that the cabinet, including Foreign Secretary Boris Johnson, had agreed to the Brexit plans set out in her speech in Italy last month. Mr Johnson wrote an article for the Sun at the weekend in which he said Mrs May’s planned transition phase must not last “a second more” than two years. It is the second time in a fortnight he has set out his own vision for Brexit. Mr Hammond is expected to announce an extra £300m to improve rail links in the north of England in his speech to the Tory conference. The BCC, which is made up of business leaders who employ nearly six million people between them, flagged continuing business concerns about splits within government. It said business was “growing impatient with division” at the heart of the government, particularly around the Brexit process, and called for ministers attending the Conservative party conference to show “competence and coherence”. The organisation’s director general, Adam Marshall, said: “Public disagreements between cabinet ministers in recent weeks have only served to undermine business confidence, not just on Brexit negotiations.” Firms also want clear action on cutting business costs, building key infrastructure, helping firms plug skills gaps, and support for investment. Another major business lobby group, the Institute of Directors (IoD), has called for the chancellor to boost private-sector investment. IoD director general Stephen Martin pointed to a survey it has carried out that suggests business optimism has declined since the start of the year. He said it showed “that businesses are not immune to their political surroundings and confidence cannot be taken for granted”. The man in charge of negotiating the UK’s trade deals once Brexit is finalised, starts his job this week. Crawford Falconer will take up the post of chief trade negotiation adviser at the Department for International Trade. Leaving the single market would mean the UK would have to establish new bilateral trade agreements, but cannot formally do so until after Brexit. However, one economist suggested Mr Falconer would already be “building bridges” with the European Commission. The UK faces a huge challenge in resetting its trading relationship with the EU and other countries when Brexit takes effect. Trade pacts that have been negotiated by the EU with the rest of the world will no longer apply to the UK, while Britain will also need to define new trading relationships with the EU itself. Membership of the EU has meant the UK does not have a large bank of trade negotiators with recent experience. Prof Alan Winters, from the University of Sussex’s UK Trade Policy Observatory, said Mr Falconer’s experience and contacts at the WTO would mean the groundwork for separating UK trade policy from Brussels would be made easier. One suggestion has been that initially trade agreements could be adopted by the UK in their current form – replicating them – at the point of Brexit, to be altered subsequently as new deals are agreed. International Trade Secretary Liam Fox said of the new appointee: “Crawford Falconer brings a wealth of international trade expertise to our international economic department, ensuring that as we leave the EU, the UK will be at the forefront of global free trade and driving the case for international openness.” Mr Falconer will lead trade policy and negotiation teams at the DIT. His appointment was first announced in June. Senior cabinet ministers will push the UK’s Brexit agenda on three different continents later. International Trade Secretary Liam Fox will travel from the US to meet Mexican counterparts to discuss trading relationships. Foreign Secretary Boris Johnson is on a two-day tour of Australia, saying post-Brexit trade is “top of the agenda”. And Brexit Secretary David Davis will hold private talks in Germany ahead of the next round of negotiations. The globetrotting by the three ministers – dubbed the “three Brexiteers” for their role in backing a Leave vote – comes amid increased scrutiny of the opportunities and challenges facing Britain in terms of negotiating free trade agreements with other countries once it leaves the EU. No deals can be done until withdrawal in March 2019 but the UK has established a series of inter-ministerial working groups in the US and Australia to discuss the way ahead while also signalling to other countries, such as New Zealand, that they will be “near the front of the queue”. US President Donald Trump has said a deal with the UK could be “big and exciting” in terms of jobs, accusing the EU of a “very protectionist” stance towards America. The EU has insisted Brexit talks will only be held by the European Commission, and the Department for Exiting the European Union confirmed Mr Davis’ talks with officials in Germany would be private. Brussels has also made clear that trade talks between the UK and the EU must wait until other issues, including the status of expats and any “divorce bill” to be paid by the UK, have been settled. The role of the European Court of Justice has emerged as a stumbling block to a deal on citizen’s rights, despite both sides insisting that they want to come an arrangement. The UK is seeking a “comprehensive free trade deal” with the EU after Brexit to replace its membership of the common market and customs union. A snap general election will help the UK make a success of Brexit and provide long-term certainty, Theresa May says. Defending her decision to seek a poll on 8 June, the prime minister told the BBC she had “reluctantly” changed her mind on the issue in recent weeks. Asking the public to trust her, she said a new mandate would give her the “strongest hand” in talks and make it hard for people to “frustrate” EU exit. The move is set to be authorised by MPs in the House of Commons later. The early poll is expected to secure the two-thirds Commons majority it requires to go ahead following Mrs May’s surprise announcement on Tuesday. The next general election had been expected in 2020, but the Fixed Term Parliaments Act allows for one to be held earlier if two-thirds of MPs back the move. The SNP has signalled its MPs will abstain in the vote on Wednesday afternoon and Labour and the Liberal Democrats, while accusing Mrs May of political opportunism, have welcomed the prospect of an early election. Mrs May, who has repeatedly said since becoming PM in July that she would not hold an early election, told BBC Radio 4’s Today that “no politician wanted to hold an election for the sake of it” and there were risks involved in doing so. But she insisted that she trusted the British public “and I am asking them to put their trust in me”. She said she believed, more than ever, that “strong leadership” was required to secure a successful outcome to the two-year process of leaving the EU and taking the UK in a new direction afterwards, both at home and abroad. The election would not be a re-run of last year’s referendum, she argued, saying there could be no “turning back” on that decision but if she was elected, it would be a vote of confidence in her government’s central goals of gaining “control” of the UK’s laws, borders and money. She also ruled out taking part in TV debates with Jeremy Corbyn and her other political opponents, saying she believed elections were all about “getting out and about and meeting voters” and, in her words, “knocking on doors”. Parliament has passed the Brexit bill, paving the way for the government to trigger Article 50 so the UK can leave the European Union. Peers backed down over the issues of EU residency rights and a meaningful vote on the final Brexit deal after their objections were overturned by MPs. The bill is expected to receive Royal Assent and become law on Tuesday. This means Theresa May is free to push the button on withdrawal talks, now expected in the last week of March. That Brexit process is set to take two years from when Mrs May invokes Article 50, which formally gives the EU notice of the UK’s intention to leave. The EU Withdrawal Bill was passed unamended late on Monday after peers voted by 274 votes to 118 not to challenge the Commons again over the issue of whether Parliament should have a veto on the terms of exit. 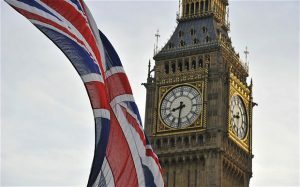 The House of Lords also agreed not to reinsert guarantees over the status of EU residents in the UK into the bill, with the government winning the vote by a margin of 274 votes to 135. Later analysis of the division list for the first Lords vote on EU citizens’ rights to remain in the UK showed that 25 Labour peers sided with the Lib Dems, including former cabinet minister Lord Mandelson. Earlier, the government had comfortably won votes on the issues in the Commons, with only a handful of Tory MPs rebelling. Ministers believe MPs will reject the two changes made to the Brexit bill in the House of Lords when they debate it for the second time later. Peers want to guarantee the rights of EU citizens in the UK and ensure Parliament has a vote on any deal. The EU Withdrawal Bill could complete its final stages if both Houses of Parliament agree the text of the bill. PM Theresa May could then trigger Article 50, which formally starts the Brexit process, as early as Tuesday. Both the House of Commons and House of Lords will debate and vote on the bill on Monday. MPs will go first, and if they reverse the Lords changes it will be passed back to peers to decide whether they want to go against the government’s plans again. The bill travels back and forth between the two chambers until both sides agree – Parliament could sit through the night to try to reach an agreement, and time has also been set aside on Tuesday and Wednesday. Once it is agreed, the bill will go for Royal Assent, after which Mrs May can formally tell the rest of the EU that she is ready to start negotiating. BBC chief political correspondent Vicki Young said she thought it likely that MPs would overturn the Lords’ amendments to the bill, and did not expect peers to try to block the bill any further. This could mean it was all “done and dusted by midnight” on Monday, she said. Foreign Secretary Boris Johnson told ITV’s Peston on Sunday that “no deal” would be “perfectly OK”, and the consequences were not “as apocalyptic as some people like to pretend”. But Conservative former deputy PM Lord Heseltine, who was sacked as an adviser last week after rebelling, dismissed his comments as “rubbish”, saying many Conservatives felt “betrayed”. Mrs May has said she would rather take the UK out of the EU with no deal rather than a “bad deal”. 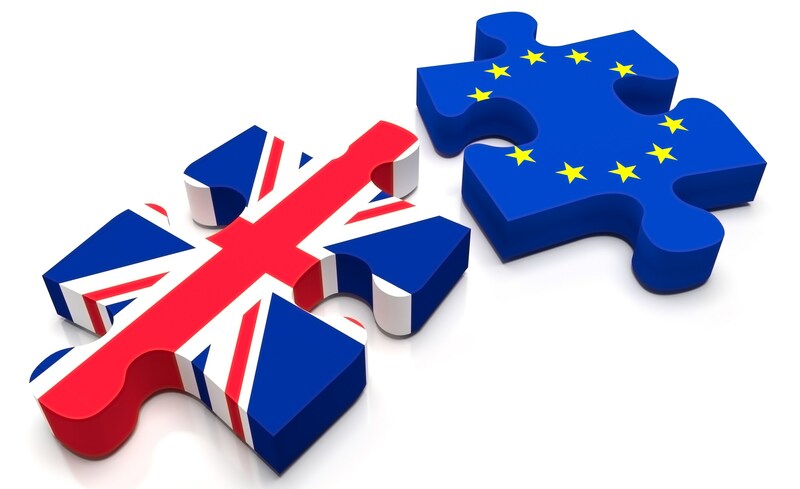 No deal would result in trade rules defaulting to World Trade Organisation standards, meaning the UK and EU would be obliged to apply to each other the tariffs and other trade restrictions they apply to the rest of the world.